Congratulations to Patrick M. from the United States on winning the De-Stress Essential Oil Set in the February Giveaway! This month I shall be giving away one special cookbook for all you cooks and food lovers out there. 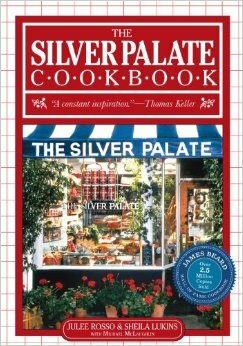 The Silver Palate Cookbook is among the top 5 rated cookbooks on Goodreads. It is considered a classic that even more 20 years ago was surprisingly modern because it used ingredients that were not as common as they are today. With over 300 recipes on hors d’oeuvres, dips and sauces, picnic fare, entrees, salads, soups, breads and desserts, you will not be disappointed by this cookbook that many people swear by. Simply enter the giveaway below for your chance to win. Remember to share this page with friends!